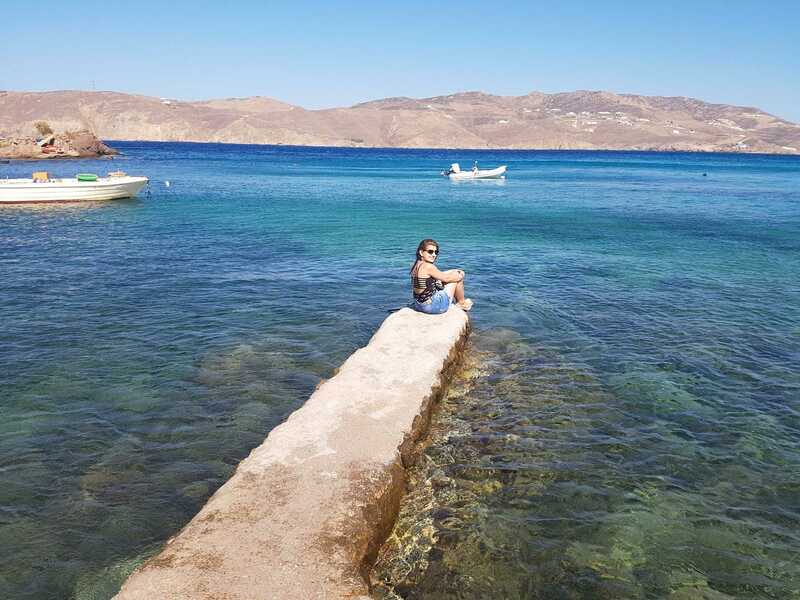 Quick travel tips when planning a holiday to Mykonos! Hi you guys! Hope you’ll are all doing well. Last month I had mentioned all the details of the first halt of our trip to Europe. If you have been following me, you would know that the first place we started our trip with was Athens. 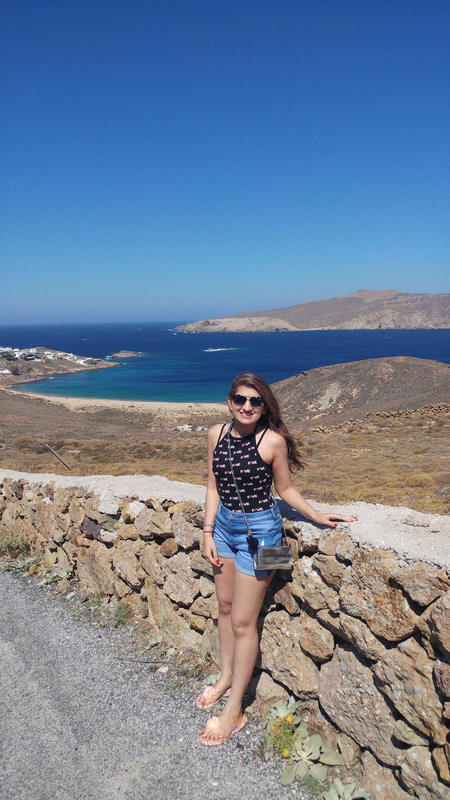 Our next stop was in Mykonos, Greece. 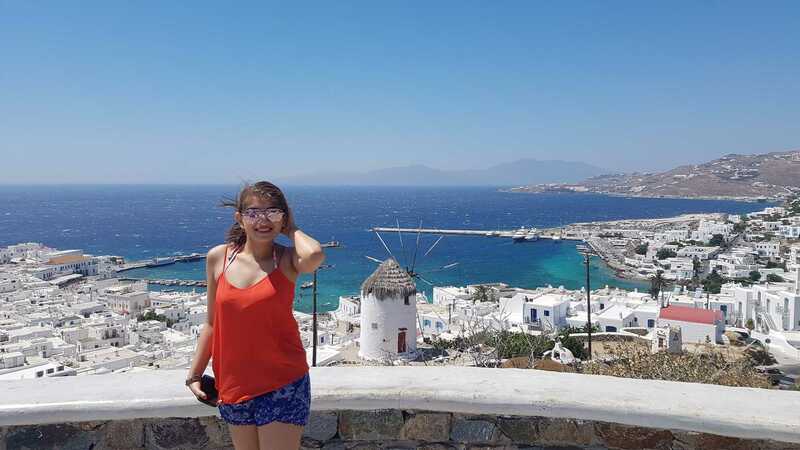 We fell in love with Mykonos, its beautiful white houses & small buildings, the windmills right in front of the sea shore. 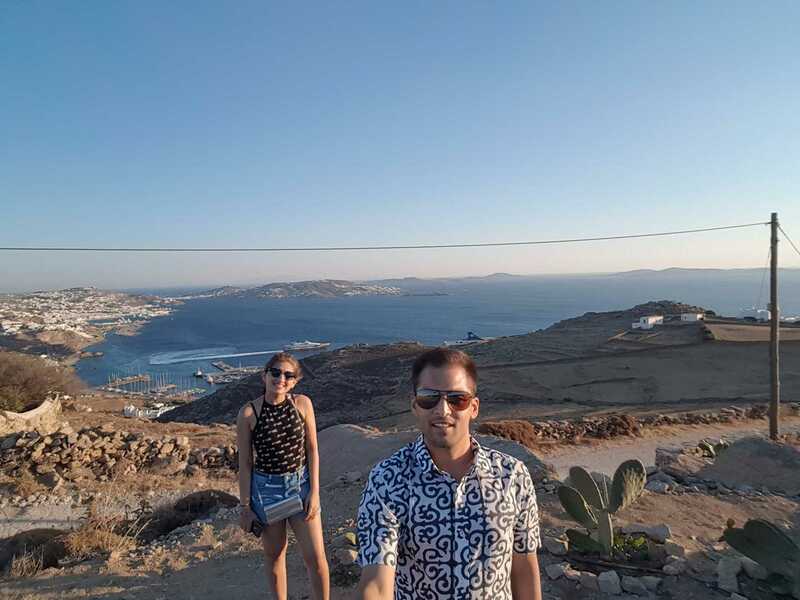 Mykonos though being an island is bigger than Santorini & since it was our first island stop we were thrilled to see every bit of it. 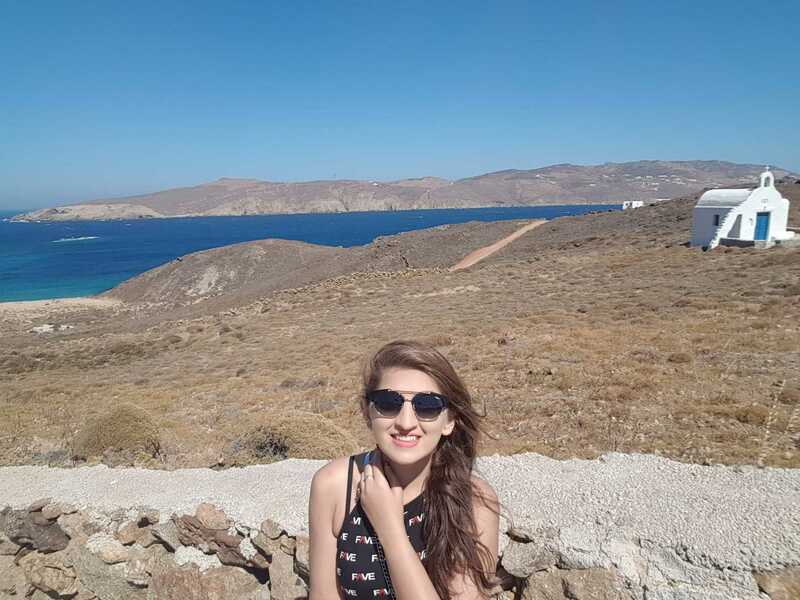 The beautiful white landscape of Mykonos stole my heart. It was a place where we could enjoy the beaches & the parties. Though the climate was all sunny, it was really windy, so windy that the water was freezing and we just could not think of getting inside the water beyond our knees. 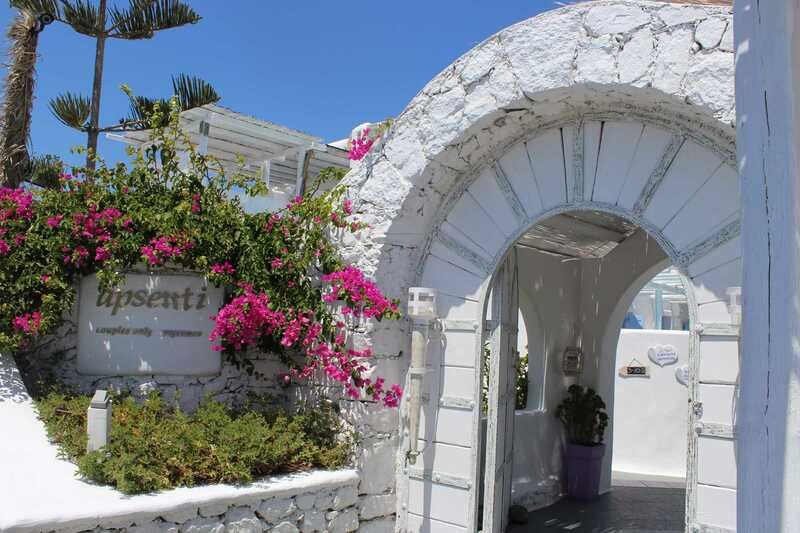 We stayed at one of the cutest & most beautiful hotels ever, Apsenti. A hotel made only for couples, it was beyond romantic and with nothing at all shady about it. The hotel staff was extremely sweet, and we had no trouble at all. They even helped us rent a bike. Our stay was super comfortable & our room was extremely beautiful. The entire hotel was in shades of white including the interiors of the room. It was like living through a dream. 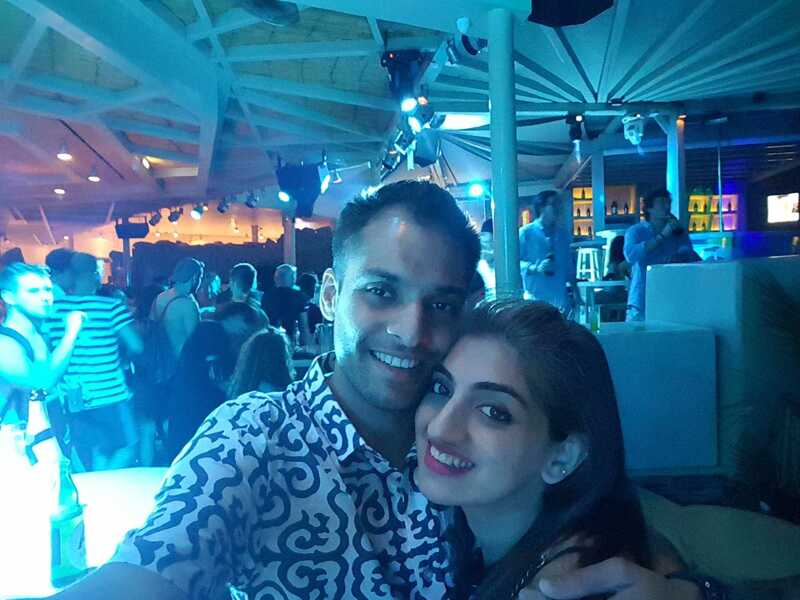 If you are planning a trip with your better half then I suggest book no other place than this. Here are some pictures to help you get an idea, but if you would like to have a look at our room & view, then head to my Instagram (all that fancy) & watch the quick video! Here's a direct link as well: http://www.apsenti.com/. This was the Hotel Apsenti, The entire set up is in white & Pastels. Little Venice: Small & fancy restaurants & lounges right by the seashore. 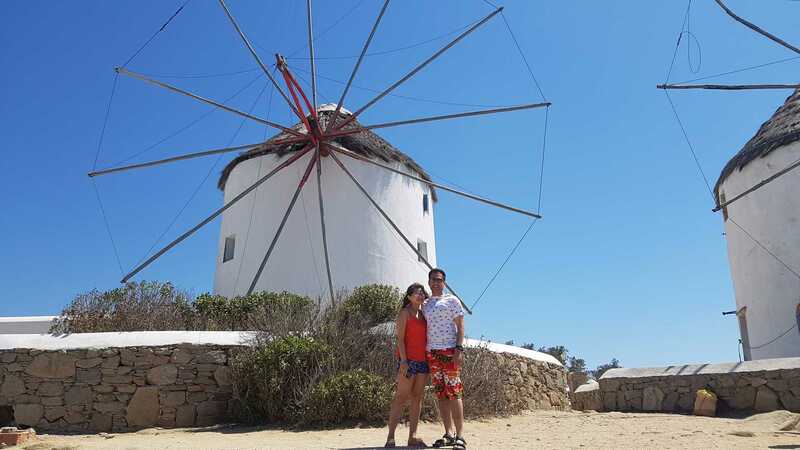 The Windmills (Mykonos Town): Usually the first thing one sees in the Mykonos Town. It is right opposite the Little Venice. 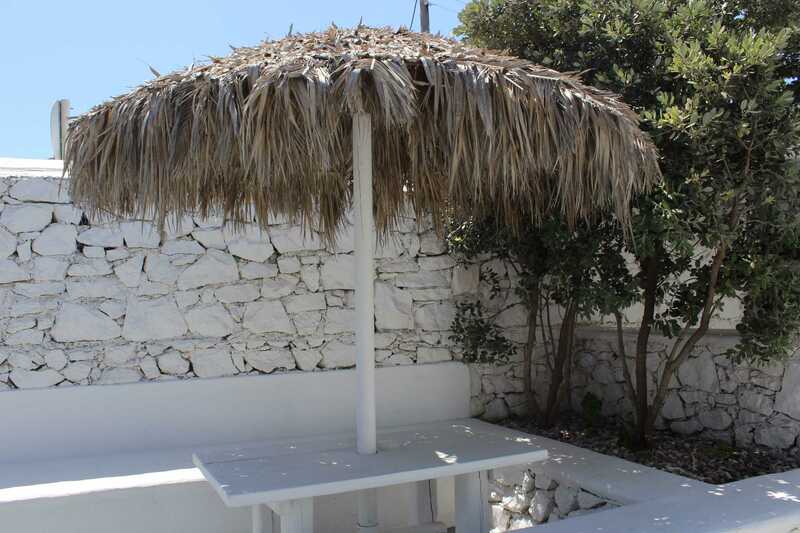 Restaurants (Mykonos Town): There are plenty of restaurants, cafes & bars in the Mykonos town. If you are a vegetarian then there are fewer options but Jimmy’s was one place where we got some good vegetarian options. 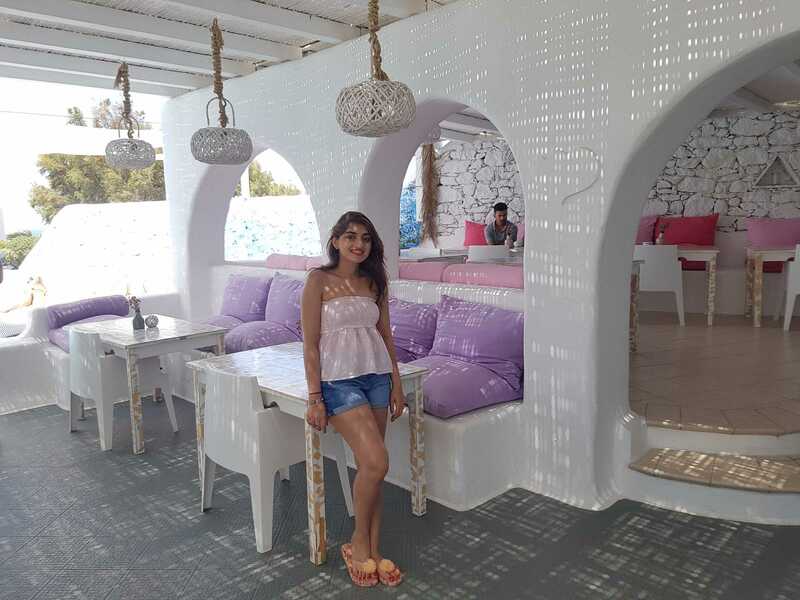 One has to just explore to find good vegetarian food, but if you are someone who enjoys meat then there are countless good places to eat, Kostas is one such place. Do not forget to enjoy the deserts, one really amazing place where we binged on waffles was Trio Bambini. 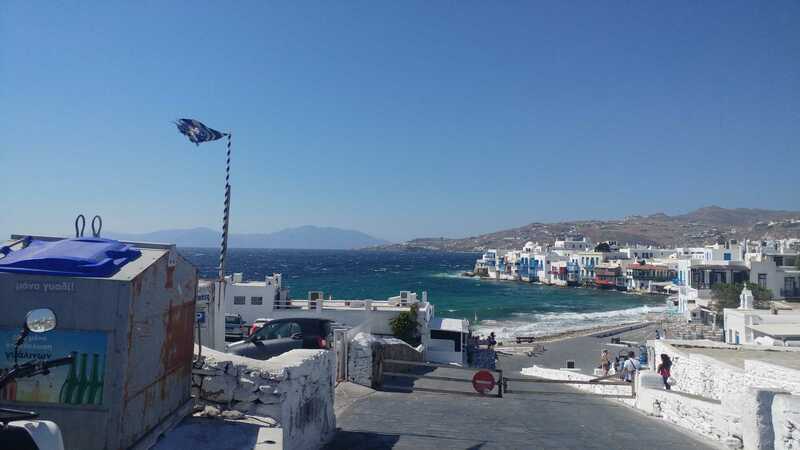 Also, there are enough gelato ice-cream parlors all over the Mykonos town. 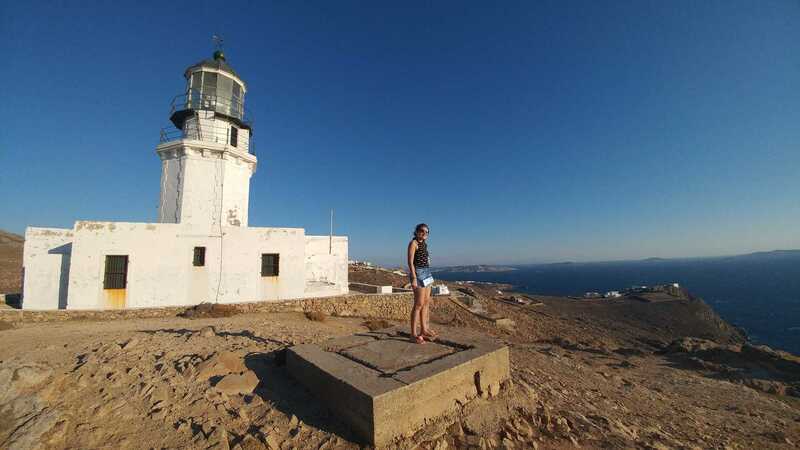 Armenistis Lighthouse: This is a must visit if you are out to explore. 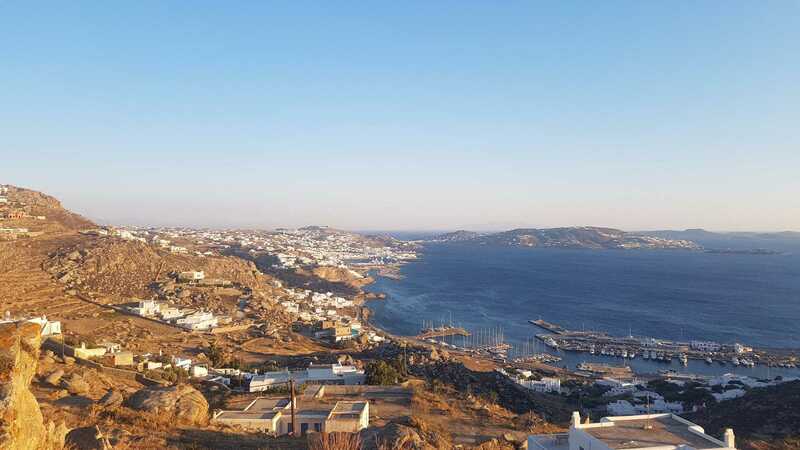 You get the best views of the island & Cyclades as it is the highest point of Mykonos. 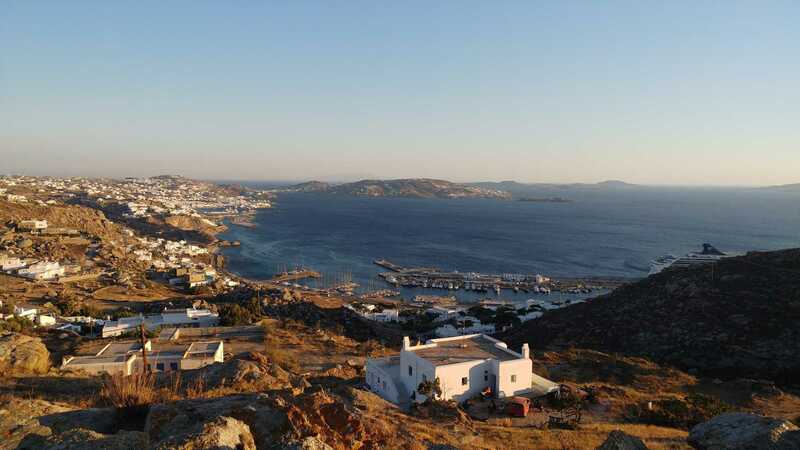 From the top you can see the boats & sea buses arriving & departing Mykonos. Driving/riding to this point takes almost 45 minutes & the road up the hill is quite steep so one should make sure to go there during the day. 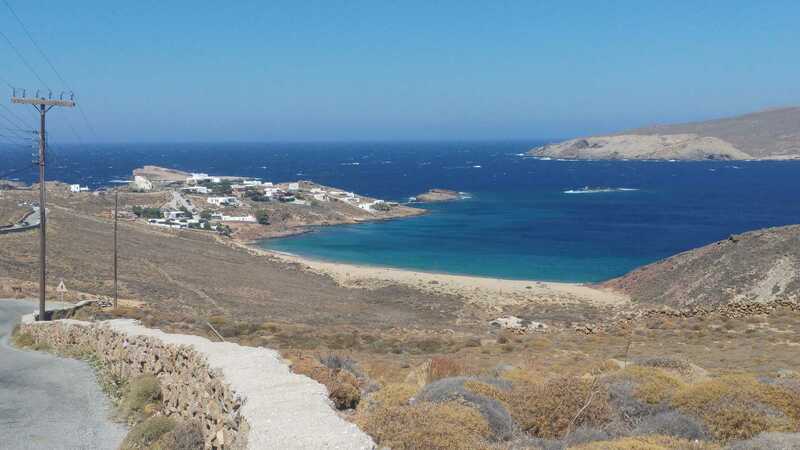 Old Port (Mykonos Town): You can see this on the way to the lighthouse. There are a few points where you can stop by to take some pictures. 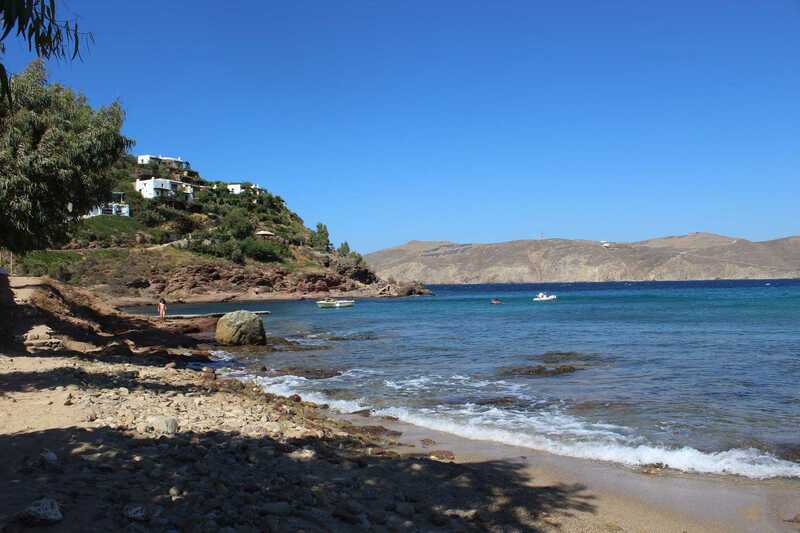 Beaches: These are some of the must see beaches: Super Paradise Beach, Panormos Beach, Ornos Beach. All of these beaches are fully active and serve food & beverages. These beaches are much closer to the town. Apart from these there are many other beaches to that one can explore though not as active as the above three, but for those you need to ride up the hill as they are a little far. One such beach was Ftelia, beautiful but smaller beach with just one restaurant to chill at. The drive way to the beach is just so beautiful that we kept stopping to take pictures. It is a perfect beach for surfing as there are always strong winds blowing that side. 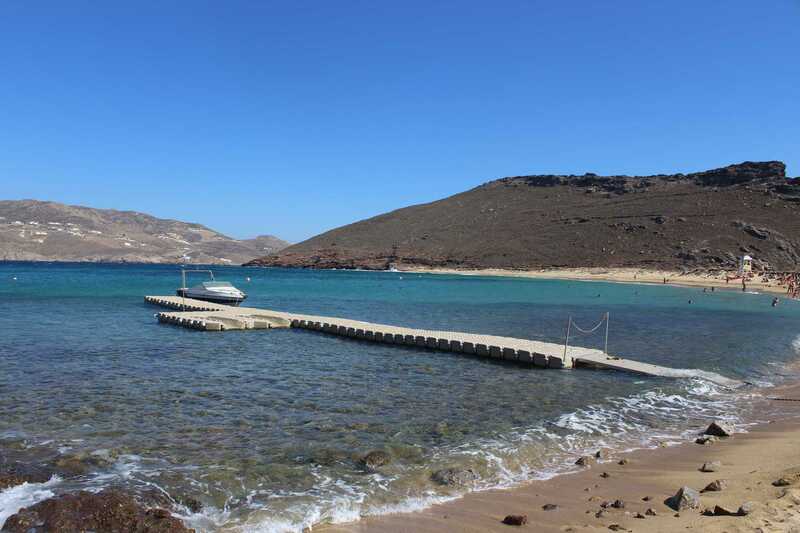 Clubs/Lounges: Cavo Paradiso Club, one of the best clubs in Mykonos for the ambience & music. It is a must visit. 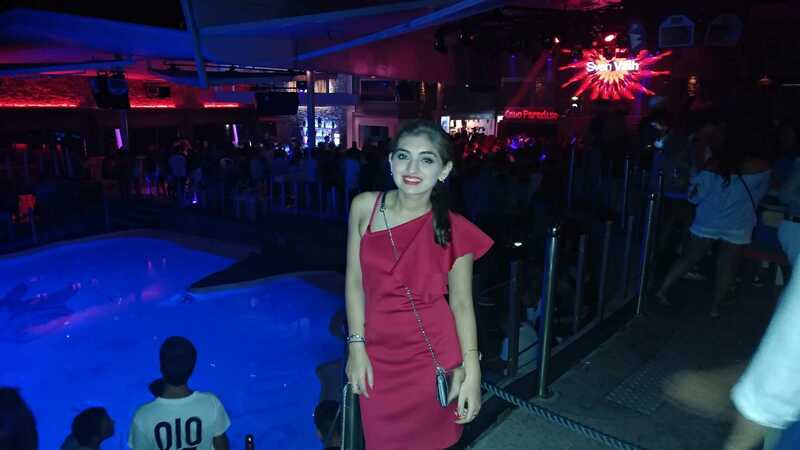 Another one that always has good vibes & music is the Super Paradise Beach Club at the Super paradise beach & this one is perfect for beach parties. 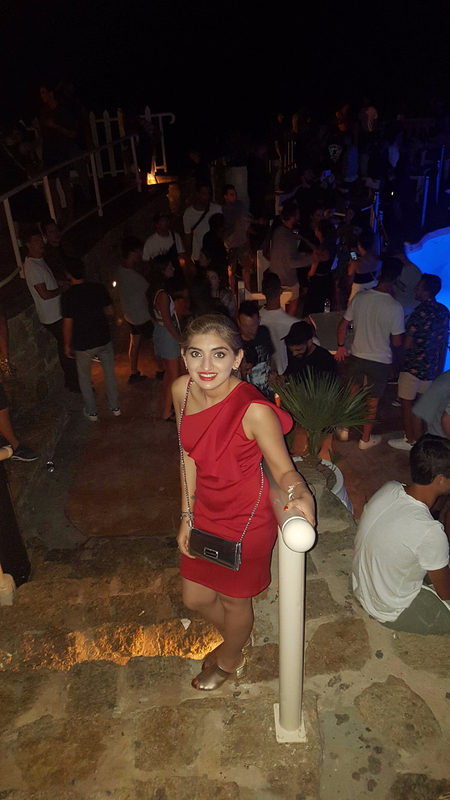 You can also explore lounges & clubs within the Mykonos town (inside the Little Venice), some of the famous ones are the Skandinavian Bar & Disco Club, Bao’s Cocktail Bar, Babylon, etc. Since we are pure vegetarians, we had very few options namely, Saganaki (fried cheese), vegetarian Souvlaki (usually comes with meat but they do serve it with just veggies & fries which makes it quite delicious), Yemista (Stuffed tomatoes & peppers in grill) and lastly the famous Greek Salad. These are a few dishes that we lived during the trip. If you are a pure vegetarian like us, then make sure to binge on the ice-creams, fruits, & french fries wherever available. 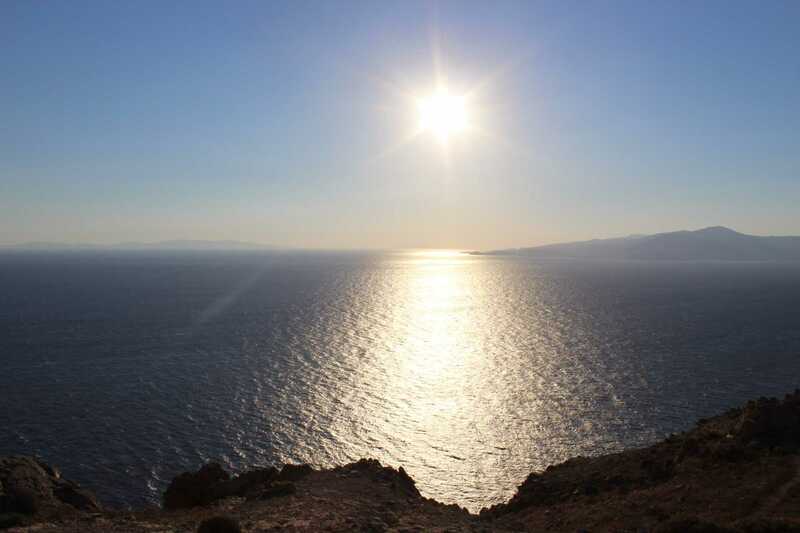 This Amazing view is on the way to the Panormos Beach. You just can't not stop & take pictures! Just to give you a little sneak - peak, this is the Super Paradise Beach Club! Quick tip1:The easiest way to go around the island is by renting a bike & you can just take help from the hotel staff. Quick tip2: Make sure to carry a jacket or shrug as it can get really cold if it’s a windy day, irrespective of the summers. 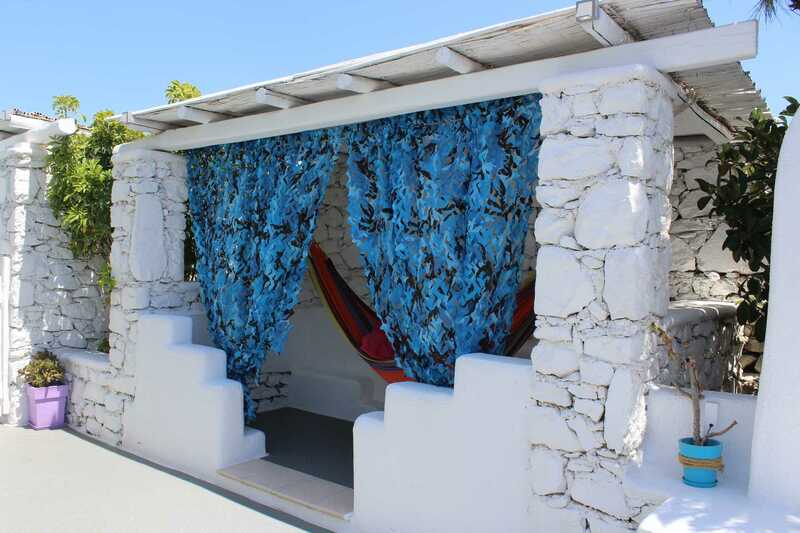 Quick tip3: Make sure to carry your own towels to the beach as they rent none. 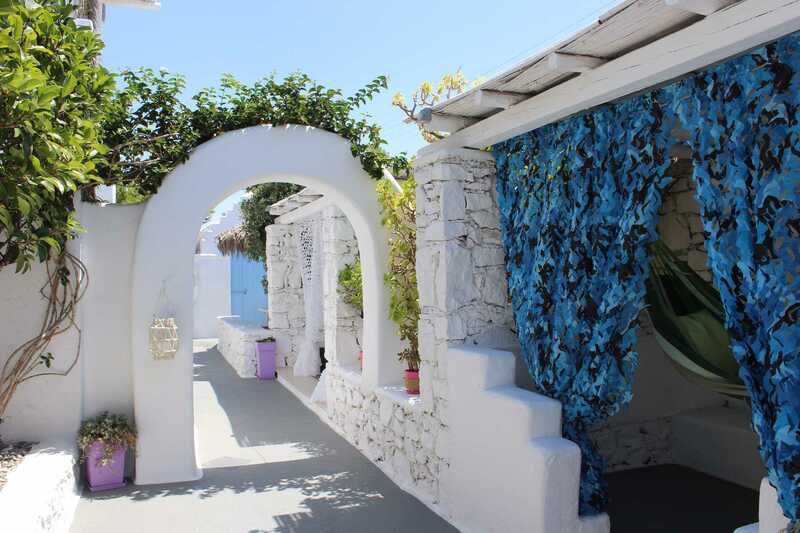 Quick tip4: You can buy whatever you need be it food or beverages from Mykonos town or in the city as there are enough groceries at every corner. Quick tip5: Make sure to carry some snacks in your backpack if you're the kind who who doesn't get pleased easily with the food. 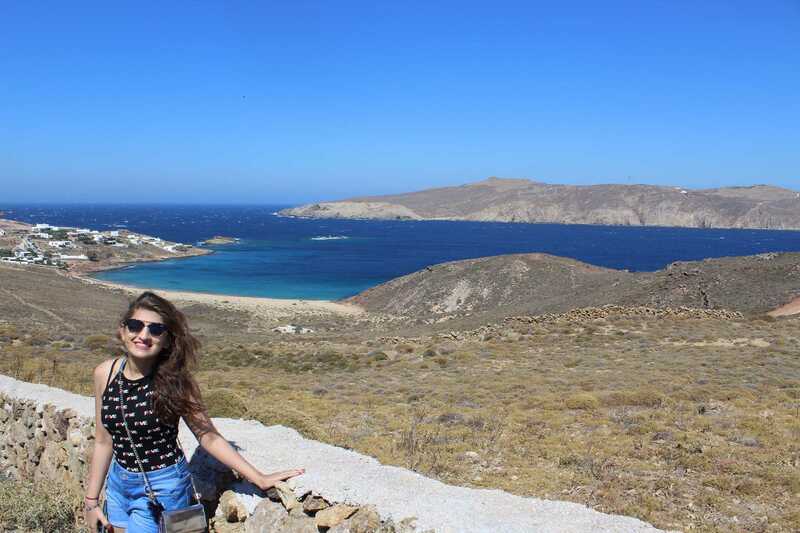 Quick tip6: This is a trip for your stay throughout Greece, do try the greek liqueur. Each island has it's own taste & variety so do give it a try. 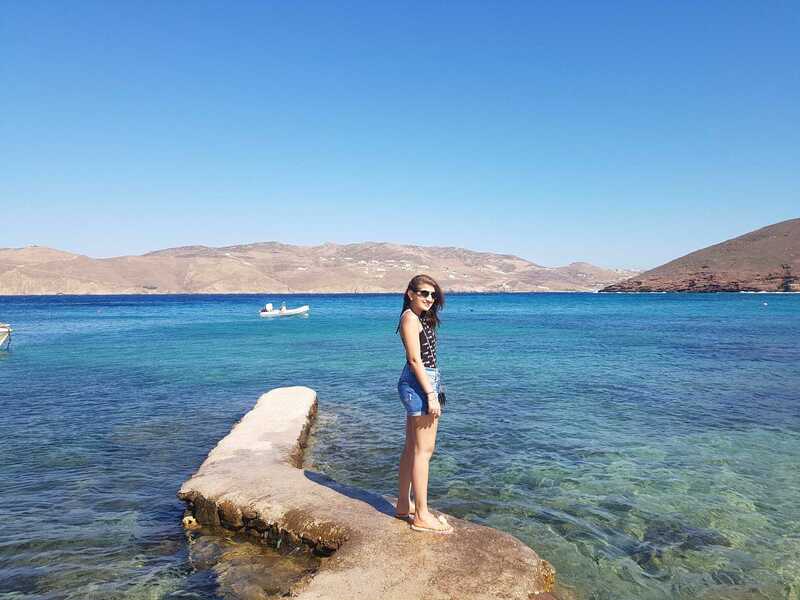 So this sums our two and a half days trip to Mykonos. 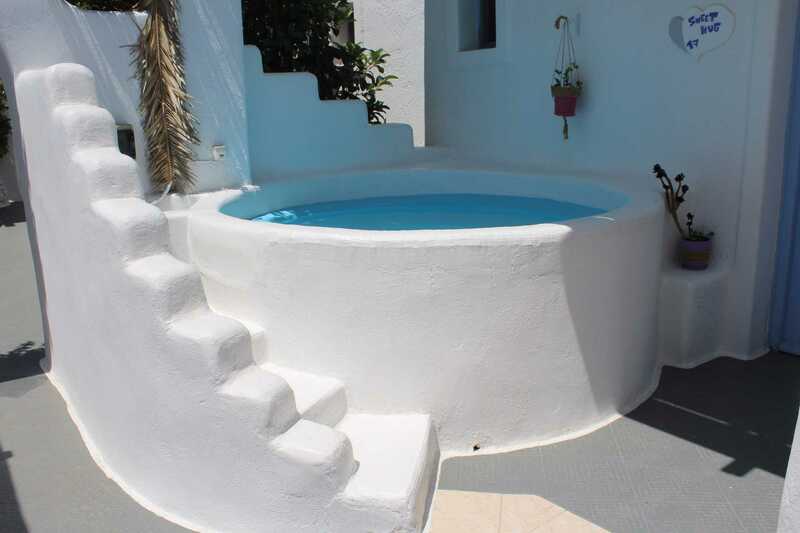 I shall soon be up with my next travel log sharing all the details from our next stop Santorini. Till then have an amazing week!